Efforts are underway to have four rhesus monkeys rehabilitated and released from the University of Connecticut's Farmington Health Center and to have primate experimentation permanently abolished at the University. The experiment, spearheaded by Dr. Waitzman, claims to study eye movement and brain activity, and demands that each individual have a hole drilled into his/her head, a permanent data collection chamber attached to the wound and small stainless steel springs implanted into their eyes. This chicanery also entails prolonged periods of water deprivation and the use of restraint devices. 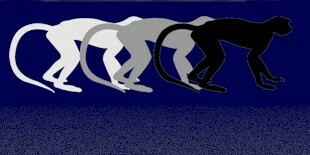 As of now, at the end of the study the experimenters plan to euthanize and decapitate the monkeys. Dr. Waitzman’s protocol expires on March 31, 2006 at which time the on-campus student group is requesting that these rhesus monkeys be rehabilitated and relocated to an accredited sanctuary to live out the duration of their lives. The Univ. 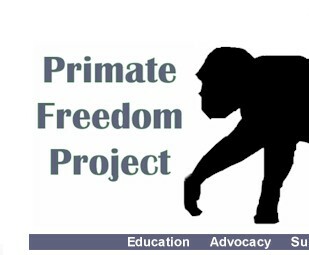 of Connecticut Animal Rights Collective, has a petition calling for a permanent moratorium on the use of nonhuman primates in all biomedical research at all University-affiliated facilities. Primate Freedom Project supports efforts to have these sentient beings released and placed in a PERMANENT sanctuary where they will never again be subject to such cruel practices.The University of Connecticut has an abysmal history of cruel treatment to animals in their laboratories and has paid numerous fines levied by the USDA. 2) Email, fax or snail mail a letter to the Editor of The Hartford Courant letters@courant.com The Courant, 285 Broad St., Hartford, CT. 06115, or fax, 860-520-6941.
the event will be available as it gets closer. Bring family and friends and get them involved. Below is a sample letter. You'll want to personalize yours but please feel free to copy and paste if desired. Thank you for your time. 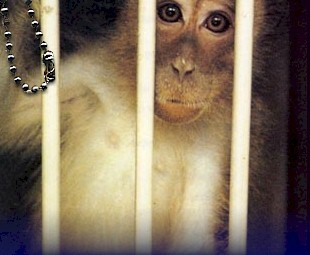 As a person who abhors cruelty, I am requesting that the four rhesus monkeys being held captive at the UConn Health Center be rehabilitated and relocated to an accredited sanctuary upon the expiration of Dr. David Waitzman's protocol on March 31, 2006. Furthermore, I request that, from April 2006 forward,a permanent moratorium be placed on the use of all nonhuman primates in all biomedical research at all University-affiliated facilities. 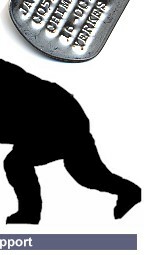 As a forerunner in progressive science, it is the University's obligation to employ ethical, humane research practices. The use of nonhuman primates for experimentation, in any capacity, is a clear violation of this imperative, as their capacity for suffering is undeniable. I look forward to the announcement of a positive resolution to this violence.